Recover or link your Gems of War game from another device to continue playing it. The account must be registered with our servers. Use the password and email created when an account is verified to continue playing your game on another device and "link" it. 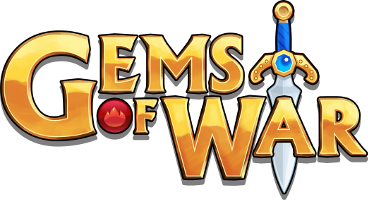 If you haven't registered your game with Gems of War, see this article: Register your Gems of War account. NOTE: You can't play the same Gems of War account between console and mobile or PC. If you've lost your account but you didn't link it and you need to reset your password, go here. 1. Install a new version of the game and then click the LINK button, OR, from within the game select Settings > Account > Link to another account > Forgot your password? NOTE: If you've forgotten your password click the FORGOT YOUR PASSWORD? button. If you didn't attach an email to your account you will need to contact Support. You can only safely play with one Hero at a time. The other Hero will be deleted from your device and the account you are trying to recover will be loaded.